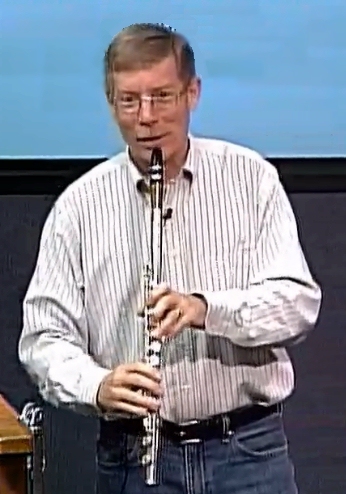 Demonstrating the "Clute," a clarinet at the top and a flute down below. What do you think it will sound like? Bryan Suits the radio talk show host can be found at KFI AM 640 Radio, Los Angelos, CA (formerly at KVI in Seattle). Brian Suits the pianist, is here.